Can You Find A Complete Suite Including The Bath, Toilet, Basin, Taps and Panel Anywhere Else Cheaper? Complete Bathroom Suite. Landlord Special. Budget Bathrooms Bradford Yorkshire. 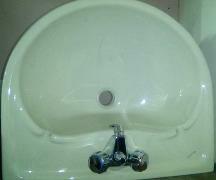 Bath Basin Pedestal Toilet Pan and Cistern Cistern Fittings Taps and Wastes. Jsl Bathrooms. Bradford. Yorkshire. U.K. Amazing Value. OUR LOWEST PRICE COMPLETE BATHROOM SUITE. Basins, Toilets and Taps May Vary.